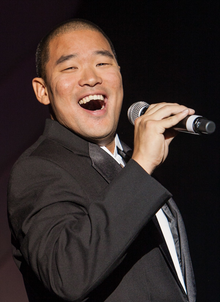 Mark J. Lindquist has appeared in ABC’s LOST, CBS’ Hawaii Five-O and the Universal Studios movie “Battleship.” As a highly soughtafter National Anthem singer, he performs for the largest crowds in America for teams such as the Minnesota Vikings, the Los Angeles Dodgers, the College World Series, the NCAA and in venues such as Madison Square Garden. He is the author of the books, “Passion! 8 Steps to Reignite Yours,” “Passion! 8 Steps to Find Yours” and “Service! My Way of Life.